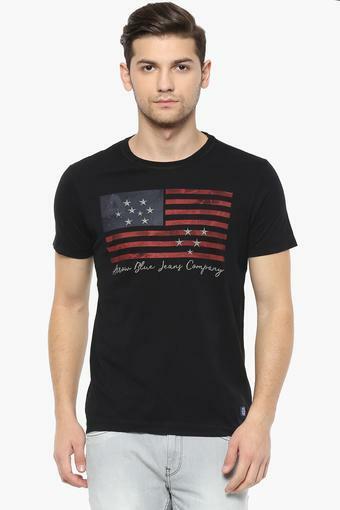 Add a pop of style to your casual collection with this t-shirt from Arrow. Made from good quality fabric, it will provide you with immense comfort throughout the day. 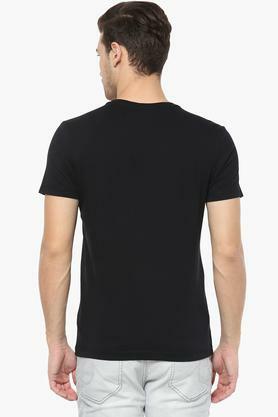 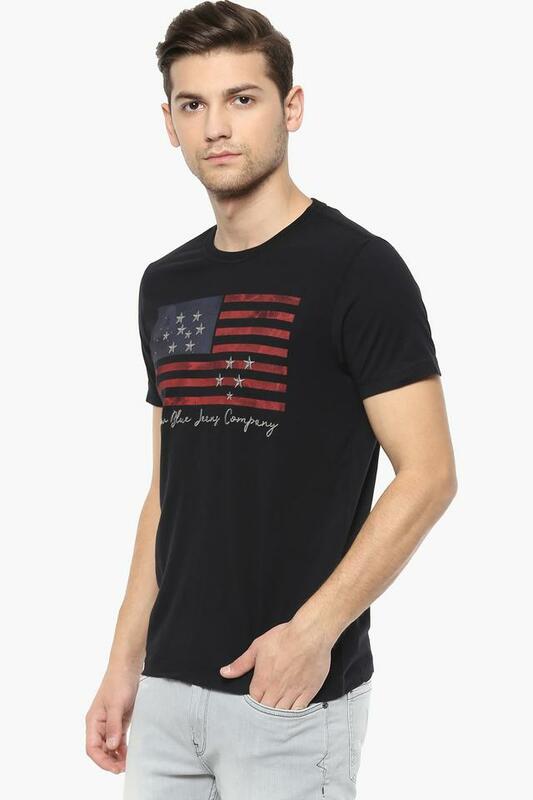 This short sleeves printed t-shirt comes with regular fit offers a contemporary look. 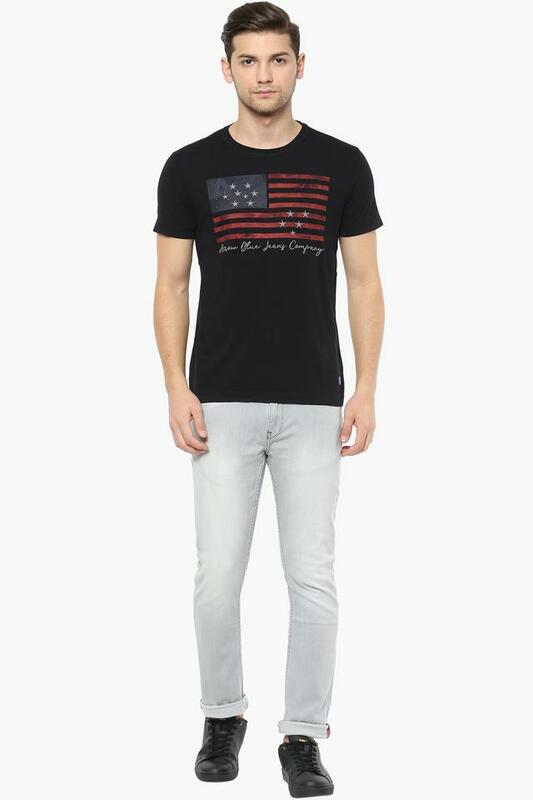 Add a pop of style to your casual collection with this t-shirt. 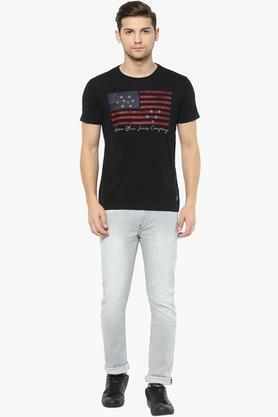 This is a perfect way to dress for a party in style with this t-shirt, denim jeans and canvas sneakers.